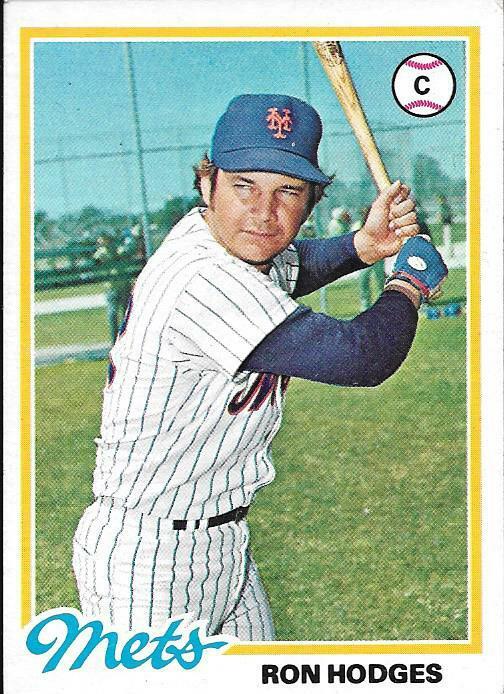 Soon enough, I’ll resume using my remaining 1975 MVP cards to continue moving back through the past, beyond the usual narrow scope (1975–1980) of my collection, but I wanted to linger a little longer on the subject of the 1972 cards. For most of my life, I only had one 1972 card, the faded Tommy Helms shown on this site last week. But a couple years ago my mother-in-law, Patty, made a gift to me of some 1972 cards that were all in better shape than any of my own cards. 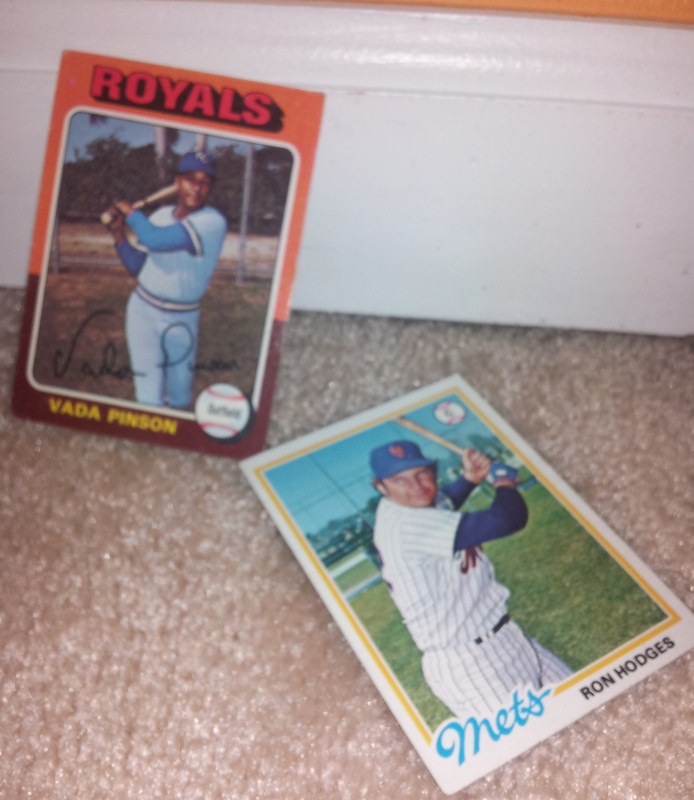 Vada Pinson was the best player in the new mother-in-law wing of my collection, but I don’t know if I can say that I understood this immediately. 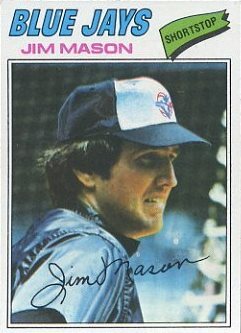 I had a notion about the kind of player Pinson was, but it was a distorted notion, based in large part on when I started collecting baseball cards. 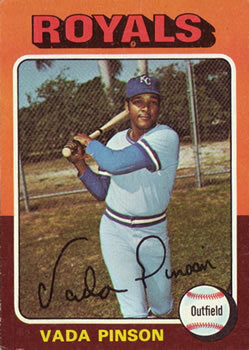 Before I got this card, I had spent most of my life with just one card for Pinson, a bland 1975 card showing him as a mostly anonymous Royal mixed in between Cookie Rojas and Tony Solaita. He did have an unusual, even dashing, name, but at that time there were other similarly unusual names that allowed me to lose whatever grasp I might have had on the distinct character of Vada Pinson. He existed in an exotic but blurry continuum along with Vida Blue and Von Joshua and all the Alous and even Tony Oliva and by extension Tony Solaita and, at the far fringes, Orlando Cepeda. This is generally a pretty good batch of players, of course, but because of when I was born and when I became savvy about baseball I was able to pull only Vida Blue completely free from that scrum, and that had to be largely because he continued to be a baseball star throughout the 1970s (plus he was the only pitcher, and moreover his name featured in the title of a year in the baseball encyclopedia that I studied incessantly: “Fast and Blue and Wait ’til Next Year”), whereas all the others either remained comparatively marginal or had slipped out of view by the time I started paying really close attention. Read the rest of this entry ?